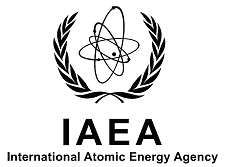 The International Atomic Energy Agency (IAEA) acknowledged Tuesday that one of its servers had been breached by a group of hackers and leaked contact details for more than 100 nuclear experts on the group's website. A hacker group called "Parastoo," one of the most common Iranian female names, has claimed responsibility for the security breach. "Israel owns a practical nuclear arsenal, tied to a growing military body and is not a member of internationally respected nuclear biochemical and chemical agreements" Parastoo said in the statement. "We ask these individuals to sign a petition demanding to open IAEA investigation into activities at (Israel’s Negev Nuclear Research Center located near the southern city of) Dimona," the group wrote. IAEA spokeswoman Gill Tudor said the agency "deeply regrets this publication of information stolen from an old server". She said the server had been shut down "some time ago" and experts had been trying to eliminate any "possible vulnerability" in it even before it was hacked. She added that the IAEA was doing "everything possible to help ensure that no further information is vulnerable"